Just as not all meat is created equal, so too is each part of the animal unique in its composition. Indeed there are many different parts: organs, muscle, bones, connective tissue, skin. Only in the very recent past did humans start to covet muscle meat alone, the least nutrient dense part of the animal. Before that, eating the organs, bones, connective tissue, and all the other weird parts is what kept our ancestors vibrantly healthy without knowing what a pharmacist was. When I started my healing journey I realized I never really ate these things, and the thought definitely grossed me out at first. Like, a lot. I’m sorry to here verify they were a HUGE part of my recovery on many levels, even more than just the endo. Below I list out what each different part of the animal can contribute towards you healing. Not all parts are created equal, but they each have a place in the human diet. And, of course, all information provided is in relation to healthy, grass-fed meats. The easiest to find and by far the most palatable to Americans, muscle meat is anything from your steak to your hamburger to your sliced pork tenderloin. Although these are seen as the least “nutrient dense” cuts of meat (fat-soluble vitamin and antioxidant wise), it’s imperative to remember that amino acids, like vitamins, are an essential part of your healing arsenal. The reason for this is, just like vitamins, your body demands the use of all 20 amino acids to function correctly. If you’re deficient you can develop severe issues just like a vitamin deficiency. Amino acids aren’t talked about as much as vitamins and minerals, so it’s cool to know what some of these guys do. Tryptophan, for example, is a precursor for serotonin, so if you’re deficient you can suffer from immense depression or insomnia. You need phenylalanine to produce tyrosine which act as the building blocks for thyroid hormones and dopamine. Taurine is the building block for bile, allowing us to digest and assimilate fat. If you don’t have taurine you won’t be able to absorb all those incredible omega-3’s I preach about. Lysine prevents not only anxiety and cold sores but also synthesizes collagen to prevent ligament issues and cellulite. Did you hear that? Cellulite. In fact, every since amino acid has a specific purpose in your body and, just like a magnesium deficiency can give you severe morning sickness, muscle cramps, migraines, and more, amino acid deficiencies can also reign havoc in your system. I know, I know, you can get enough amino acids, in the correct balance, from plant sources, and don’t need meat at all. We’ve all heard this about a million times, and I looooooved telling my Aunt all about it while she ate her Thanksgiving turkey and I a Thanksgiving “nut loaf” (ah, the ungracious teenage years). So here’s the thing, you can indeed get your amino acids from plant sources if you have a very healthy digestive system, a glorious liver, and you’re obsessed with food combining. That’s why some people do well on a solely plant based diet. Truly, I can’t argue with anyone who feels phenomenal doing this and has maintained muscle strength, ligament health, energy levels, hormone levels, etc. But a woman with chronic disease is different than her vibrantly healthy sister, and must really pay attention to getting this correct balance all the time. Of the 20 amino acids in your body’s proteins, nine are essential to your diet because your cells cannot manufacture them. They are histidine, isoleucine, leucine, lysine, methionine, phenylalanine, threonine, tryptophan and valine. The other 11 your body can manufacture from extra amino acids. This is important, how the 11 other amino acids are manufactured: From complex chemical reactions in your body, with each chemical reaction requiring a host of nutrients as well as a properly functioning liver and digestive system (endo ladies). If you’re deficient in the vitamins and minerals needed for the chemical reaction to occur, you won’t be able to do it. And if your liver’s impacted and gut is dealing with dysbiosis, your body will not be manufacturing amino acids like the factory you’re imagining, if at all. It needs help in the form of you directly giving it that amino acid without it struggling, with all its chronically fatigued might, to create it for you. chemical reactions "creating" our non-essential amino acids aren't simple! they require a lot of nutrients and energy per each reaction, and imagine how many reactions need to happen to get enough glycine alone to heal your gut! One way I recommend healing is by drinking bone broth to get glycine directly to the gut, which doesn’t make sense if the body can make it right? Alas, not so simple. Your body can first off only make so much glycine, and it’s all made in the liver… meaning you foremost need a healthy functioning liver, something most women with endo have issues with. Second, the liver then uses up most of the glycine it makes for its own detoxification purposes, meaning that even if your liver is healthily doing its due diligence, there’s still very little left over for use in the rest of the body’s processes. It makes enough glycine for basic survival, while it waits on an infusion from other sources to offer up to the inflammation and healing process. So, if we never get that infusion of glycine, deficiency can occur. That’s why when we’re healing we need to help our bodies by consuming all 20 amino acids for so many functions, and just because your body can technically make them, doesn’t mean it’s going to a) do it, or b) make enough for you to heal. And your body as an endo warrior doesn’t just need all of them, it needs a lot of them during your healing phase. Lucky, there’s a food source that has the correct balance of all 20 amino acids, as well as anti-inflammatory benefits, fat soluble vitamins, and a wide spectrum of anti-oxidants and minerals. What is it? Grass-fed animal products! This of course isn't just limited to meat, but also dairy, eggs, and fish. I put these in the same category so that I could talk about the one and only: bone broth. Meat on the bone actually offers the same benefits if you really pick the bone clean, but mostly I want to talk about this healing, nourishing broth. If you thought it was fad, think again. Bone broth is actually something our ancient to our very recent ancestors - think great grandma - ate on the regular. It's been historically documented by both anthropologists and archeologists that humans have made use of bone nutrients around the world, from Native Americans, to Inuit, to Europeans, to the Kalahari. It seems no cultures left this nutritional powerhouse out of their diet. That’s why it’s no fad, but a wonderful resurgence of our ancestral, human diet. Bone broth is a slow simmer of bones, cartilage, skin, and ligaments that results in a gelatin rich pot of easy to digest amino acids, ready to absorb straight into your body to heal. How this works is that water molecules tug apart the connective tissue from bones and tissue, releasing a special family of molecules called “glycosaminoglycan” (say it out loud, it will help you remember for when you school your friends). The three best known members of this group are glucosamine, chondroitin, and hyaluronic acid, supplements you may have sitting on your shelf right now for healing your knee pain, joint pain, shoulder pain, or plumping your skin and lips. 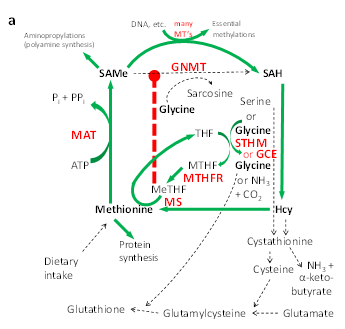 It used to be thought that using supplements like glucosamine was worthless because it would be broken down in your system into basic amino acids, but recent studies amazingly show that this molecule somehow resists digestion and passes into the body intact. Moreover, other studies show that once in your body it beelines for your broken cartilage all on its own and actually stimulates the growth of new, healthy collagen! That means your body had to do nothing but swallow, and the glycosaminoglycans do the rest of the healing without your body having to make a single conversion or chemical reaction. That's why bone broth is so revered in healing circles. Because it delivers a blast of glycosaminoglycans directly to your body, passing through your digestive system intact to directly heal your gut, your joints, your skin, and your pain. You won’t find these specific healing benefits in any vegetarian broth, which is why you need a gelatin rich bone broth to truly start calming that rampant inflammation while healing and sealing the gut. A last note, bone broth is also exceedingly high in minerals, something we Westerners get very few of in a SAD (standard American diet). Think of it as a truly healing infusion to mend a broken body back into shape. On a shallow note, it will also make your skin glow and prevent pre-mature aging since skin itself depends on collagen for renewal. Endo Recommendation: 1 cup per day while healing. Dun dun dunnnnnnnn, organ meats. Something we have become so squeamish about it’s hard for some of us to even look at a liver. But this aversion is a newly acquired behavior, since organ meats have been on the menu for some millions of years. Indeed, Dr. Catherine Shannahan in her book Deep Nutrition shares with us that as recent as the 1953 edition of the Joys of Cooking did we see “Calf brain fritters and 10 other brainy recipes”. (I’m pretty sure my mom’s 1990 edition was vegetable oil and refined flour fritters). If we dig further into any cookbooks before the Industrial Revolution we find recipes more reminiscent of witches' brews of cow's tongue, thymus (sweetbreads), and even eye balls. But wait, before we collectively vomit, it’s important to understand why the majority of these people weren’t suffering from cancer, heart disease, arthritis, autoimmune diseases, diabetes, or endometriosis. Yes, they may have died from something antibiotics could have cured, or childbirth, or a simple festering cut, but they weren’t plagued with the chronic illness we have so much today, and part of the reason is organ meats. Organ meats are the most nutrient dense pieces of the animal since they're the body's storehouses of vitamins and minerals. Especially the liver, which is why you hear so much about it nowadays. If you check out this image on the right, it’s a good visual of how much more nutrient dense liver is than other meat or 2 popular plant foods. This isn’t to say broccoli is bad, it’s to say that you would have to eat a heck-of-a-lot of broccoli to get the same nutrients you find in one serving of liver. That’s why animals eat the organs of their kill first, just as hunter-gatherers did/and still do today. Comanche hunters would cut the warm liver out of their kill, squirt gall bladder juice on it, and eat it as a delicacy. The Neur tribe in the Sudan holds liver in such high esteem they believe it’s where the soul resides, “and that a mans character and physical growth depend upon how well he feeds his soul by eating the livers of animals” (Dr. Weston Price). In this awesome modern day story about a journalist living with the Hadza in Africa to research the gut-biome, they kill two porcupines and immediately light a fire to eat the lungs, heart, and liver. Closer to home, many of our grandparents will remember the days when liver was served once or twice per week. Here on Kaua’i, the large Philippino population everyday eats everything from lungs, fish eggs, fermented chicken eggs, liver, and more, and are in exceptional health into their much later golden years… And I’m talking about 80-year olds with remarkably better stamina than my own 30-year old self. dr. weston price documented dental health versus diet, discovering the neur people were an incredible 100% cavity free, as well as having perfectly formed faces and jaws with no teeth crowding. diet? lots of liver. One of the most remarkable things about hunter-gatherers and traditional diets in general is that, despite the fact humans had no nutrition science or even an inkling of what a vitamin was, our ancestors learned what the body needed through thousands of generations of trial and error. And that’s where you see a religious reverence emerge in relation to organ meats, especially liver, and something you don’t see in relation to plant foods, say, like broccoli or blueberries like today. What I’m trying to bring home is that in the million-year-old diet we humans evolved to eat, organs weren’t just on the menu as a highly revered source of nutrients, they were often seen in an almost religious equivalence. Interestingly enough, scientists today still can’t pinpoint the exact reason why liver is known to give so much endurance, and have thus named it containing an “unidentified anti-fatigue factor”. An experiment in the 1950’s described by Benjamin K. Ershoff, PhD, aptly shows this in action. In the experiment, Ershoff divided laboratory rats into three groups. One ate a basic diet fortified with 11 vitamins. The second ate the same diet, along with an additional vitamin B complex. The third ate the original diet, but with a 10% addition of powdered liver. “A 1975 article published in Prevention magazine described the experiment as follows: “After several weeks, the animals were placed one by one into a drum of cold water from which they could not climb out. They literally were forced to sink or swim. Rats in the first group swam for an average 13.3 minutes before giving up. The second group … swam for an average of 13.4 minutes. wonder woman! Had she actually existed, her indigenous woman's tribe would definitely have been eating lots and lots of organ meats and bone broths to keep their joints and muscles strong and stamina at its peak. Like I said, scientists today still can’t isolate this factor -- maybe it's not a single factor at all -- which is another perfect example of how food truly is medicine in ways synthetic vitamins will never be able to match. For us women who have unknowingly depleted ourselves into a pit of painful endo misery, coming to terms with the fact that organs may be a magic bullet is one big step in the right direction. Liver from appropriate sources (healthy, grass-fed) is one of the most nutrient dense foods humans can possibly consume, gram for gram. It’s a misconception that the liver is where toxins are stored. Rather it’s vitamins that are stored in the liver, all needed for the many thousands of chemical reactions that take place there every day. Toxins are instead processed through the liver and, if not properly expelled as healthy animals should, are then stored in fat. That's why organs are powerhouses of nutrition, because they concentrate and store the exact nutrients we human animals also need to thrive. In one last story, author Dr. Shanahan gives a cool example of one of her patients who, as a child in the 1940’s, suffered from such severe asthma he had to constantly be rushed to the hospital for adrenaline shots. The Doctor advised his mother to give him “a thermos of pureed raw cow’s liver every day, which he managed to drink primarily because he wanted to avoid the emergency room”. Can you imagine one of our endo docs recommending that?! But, low and behold, the liver provided his body with all the missing nutrients he needed to calm the inflammation and literally cured him of his asthma. Now at age 70, he’s still playing tennis and is beating partners decades younger than him. When I read this story 2 years ago I actually looked into raw liver because, well, I was desperate. Like that little boy who wanted to avoid the emergency room, I wanted my endo gone. Yes, I was grossed out - you have no idea... well maybe you do - but still I researched that raw liver is safe as long as it comes from a good, reputable source AND it’s been frozen for 2 weeks in order to kill any pathogens. I also found a lot of people online doing it and not dying from contamination. In fact, they all seemed to be healing. So, along with eating everything else I speak of here on my site, I added 6-8 oz of raw, grass-fed liver per week to my diet (I blend it with tomato juice and then “shoot it” like shots of tequila, and of course chase it with a liberal amount of kombucha). Just like this asthma story, my endo is now in complete remission, my chronic and debilitating fatigue is a thing of the past, and my burnt-out liver, previously unable to get rid of that extra estrogen, is back to normal. I can run again. I could finally conceive a child. I don’t think that’s a coincidence. Don’t worry, I’m not telling you to gulp down raw liver! I mean, you can if you want :) I moreover want to tell enough stories to convince you that organ meats, as much as you want to avoid them, will be worth the effort of learning to eat them. I promise. In my troubleshooting section HERE I talk all about how to start incorporating these truly sacred organ meats into your diet, some without any ick factor at all.